For the critics of Cahiers du cinema in the 1950s, champing at the bit to tear down France’s cinematic establishment and launch the nouvelle vague, the films of Claude Autant-Lara represented everything they despised – what they named derisively “the cinema of quality”. Having never seen any of Autant-Lara’s work, I had a vague impression based solely on that opinion of someone stuffy and old-fashioned. Nonetheless, my interest was piqued when Criterion announced that they planned to release a four-disk set of the director’s work as the follow-up to their Eclipse set of Julien Duvivier movies from the ’30s. That earlier set suggested that there was much to be discovered and appreciated in pre-New Wave mainstream French cinema beyond the work of Jean Renoir (perhaps the major exception allowed by the Cahiers critics from their blanket condemnation). Claude Autant-Lara: Four Romantic Escapes From Occupied France (Eclipse Series 45) presents the four features he made under the German Occupation, released between 1942 and 1946. Everything those critics complained about is apparent – the bourgeois subjects, the elegant design, and most significantly their origins in literary sources. But whether these things are truly problematic is open to debate from our more distant perspective. To young would-be filmmakers, no doubt everything about these films would seem stifling, like the corsets so many of the women characters are tightly laced into. But there are revelations and a creative richness also and these films are easily comparable to contemporaneous studio productions from Hollywood – with one significant difference: they possess a frankness about the sexual dimension of romance which the Production Code would have frowned on. Autant-Lara had served a long apprenticeship through the ’20s and ’30s as a production designer, art director, costume designer on films for Renoir, Marcel L’Herbier, Rene Clair; as a maker of experimental silent shorts and, in the early ’30s, director of French-language versions of Buster Keaton movies in Hollywood. His first feature assignment back in France was drastically re-cut by the producers and Autant-Lara disowned it. It was only after the Germans occupied France that he got another chance and he seized it. At first, the Germans banned all French and American movies, but public resentment eventually prompted them to allow French production to resume … under strict censorship, of course, which would root out any signs of resistance. (This period is the subject of Bertrand Tavernier’s excellent Laissez-passer .) This context explains certain defining characteristics of Autant-Lara’s films, particularly their period settings and what at first might seem frothy and superficial narratives. As the set’s title indicates, these films are romances, diversions, distractions from the current grim reality being experienced by their audiences. But as so often happens when artists work under repressive systems, forbidden thoughts manage to creep in, coded certainly, but often more interesting for being disguised. In the case of two of the films in this set, class is a key element, and the narratives implicitly critique the divisions in French society – one through comedy, the other through tragedy. 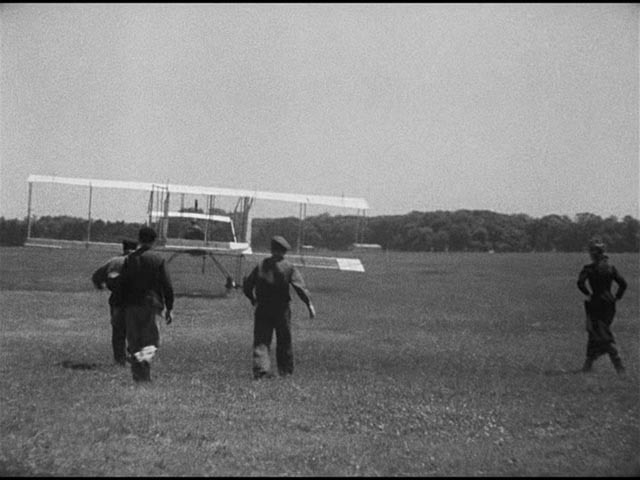 There is also political corruption and, in one instance, a sympathetic portrait of French military honour; not to mention French ingenuity in the person of an eccentric inventor who builds and flies a successful heavier-than-air plane about the same time as the Wright Brothers. Each film, adapted from a literary source (short story, novel, play) by Jean Auranche (joined on Douce by long-time writing partner Pierre Bost), is written with such precision that the reaction of Godard and Truffaut was preordained. The plots are tightly wound machines, propelled by streams of witty dialogue. This is actually one of their great pleasures. The first two films, Le mariage de Chiffon (1942) and Lettres d’amour (also 1942), have the structure of French farce, with chains of events fueled by misunderstandings binding together large groups of characters until the tangles are eventually unraveled and true love found. 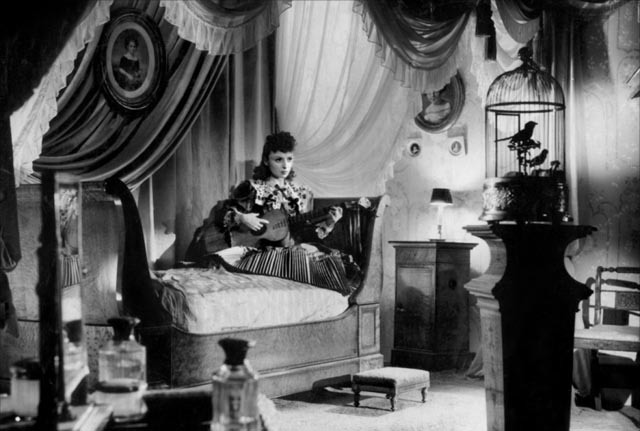 This intricacy is put to darker use in the third film, Douce (1943), while the fourth film, Sylvie et le fantôme (1946), is much lighter and simpler, a romantic coming of age story in which fantasy (in the form of a ghost) plays a key role. Beyond the quality of the filmmaking, perhaps the biggest revelation of the set is the star at the centre of all four films. I hadn’t even heard of Odette Joyeux before, though her career spanned from 1930 to 1956, with a few television appearances in the following two decades. In these four films she displays great charm and range (in two of them she convincingly plays teenagers when in her late-20s and early-30s). In all four films she is the focal point, the emotional centre, and the avatar of an unconstrained sexuality (made explicit in Le mariage de Chiffon when she refuses to wear a corset because she wants to “be herself”). 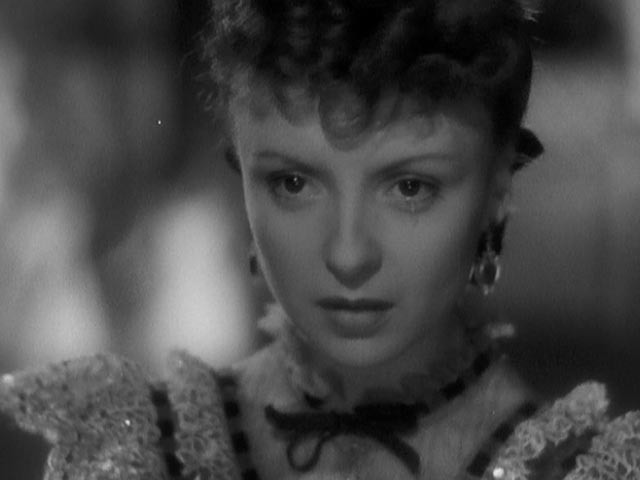 In Le mariage de Chiffon, Joyeux is a free-spirited girl living with her overbearing mother Madame de Bray (Suzanne Dantès) and indulgent stepfather Philippe de Bray (Louis Seigner); she idolizes her stepfather’s brother Marc (Jacques Dumesnil), who is bankrupting himself (and embarrassing his sister-in-law) with his efforts to build an airplane. 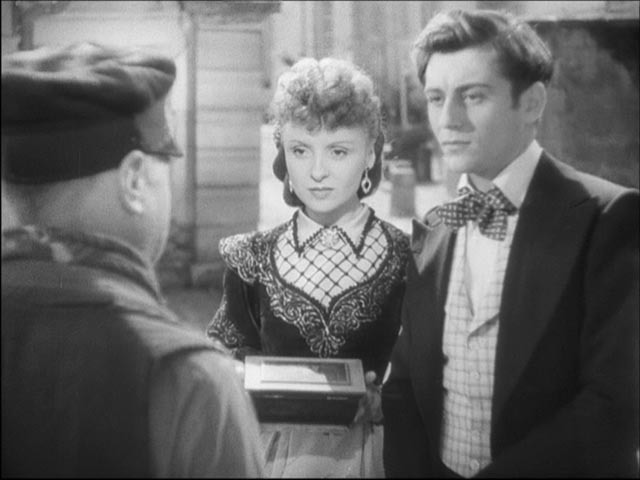 One rainy night, on a dark street, Chiffon (Joyeux) encounters a Colonel, Le duc d’Aubières (André Luguet), who has just returned to the town after being away for twelve years. The loss of a shoe initiates a Cinderella-like thread which eventually connects multiple characters – Chiffon and the Colonel, the Colonel and Madame de Liron (Monette Dinay), Madame de Liron and Marc, and Marc back to Chiffon – with multiple confusions about identity. As events unfold, the Colonel courts Chiffon, who initially has no romantic interest; she agrees to his proposal only when Marc’s financial backers foreclose on his plane and she decides to marry in order to obtain her dowry and pay off his debts. The Colonel, a decent and sensitive man, realizes that she is actually in love with Marc (and has been since she was five) and releases her from her promise for a happy ending. The mechanics of the narrative are skillfully constructed and Autant-Lara gives them a breezy pace while allowing the actors to create an engaging and sympathetic collection of characters. The film is lightly entertaining and Chiffon’s forthright independence gives it a freshness and energy which, at least for the duration, holds off questions about these middle-aged men pursuing a fifteen-year-old girl. For Lettres d’amour, we go farther back, to 1855 and the time of Emperor Napoleon III. In the small provincial town of Argenson there is open conflict between the aristocracy and the bourgeoisie. Here Joyeux plays Zélie Fontaine, a businesswoman despised by Le marquis de Longevial (André Alerme), who wants to take over her stagecoach company. Zélie inadvertently supplies the ammunition for his case by having agreed to act as a shield for her friend Hortense (Simone Renant), the wife of the local prefect. Hortense is engaged in an affair and her lover sends his letters to Zélie to be passed on. When the letters are discovered, Zélie is compromised. But unknown to her, the newly arrived state prosecutor François de Portal (François Périer) is Hortense’s lover. Recognizing his own letter in court, he dismisses the case against Zélie. 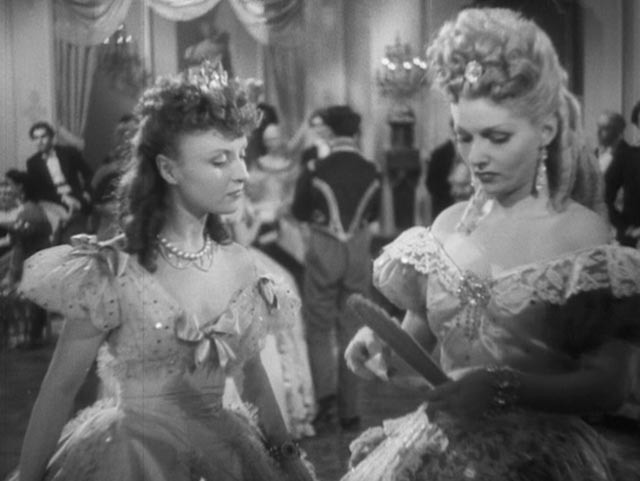 Zélie and Hortense have a falling-out because Hortense is willing to allow Zélie to face censure in order to protect her own social position, and perhaps inevitably de Portal begins to fall for Zélie. The conflict between the aristocrats and the bourgeoisie comes to a head at a ball where the former have schemed to humiliate the latter by introducing a complicated new dance which they have secretly rehearsed; the plan backfires and it is the aristocrats who are humiliated, while the various complications and romantic misunderstandings are resolved. The period setting and comedic tone allowed Autant-Lara and Auranche to slip a pointed critique of the corrupt aristocracy past the censors, by implication mocking the Vichy establishment which was cooperating with the Occupation. Once again Joyeux gives an open and forthright performance, disdaining the constricted manners of a corrupt society in favour of emotional honesty. That forthrightness takes on a much darker tone in the next film, Douce. Here she plays the spoiled daughter of Engelbert de Bonafé (Jean Debucourt), a former soldier with a wooden leg – which he explains at one point is not the result of bravery in war, but rather of a horse-riding accident: “they shoot horses,” he comments wryly, “but men they repair.” Engelbert and Douce live in the mansion of his mother, the Countess de Bonafé (Marguerite Moreno), a domineering monster of propriety. Douce has romantic yearnings for Fabien Marani (Roger Pigaut), the steward of the Countess’ country estate, who happens to be the lover of Douce’s tutor Irène Comtat (Madeleine Robinson). Fabien intends to steal the estate’s profits and flee to Canada with Irène, but she’s disgusted by his thievery. Douce, on the other hand, manipulates them both and seduces Fabien away, convincing him to elope with her. But after spending a night with him, and by implication losing her virginity to him, she decides that it would be impossible to maintain her romantic fantasy beyond this moment and tells him she wants to go back home, leaving him with the memory of “his greatest love”, which no one else will ever be able to match. But before returning home, she insists that he take her to the theatre to cap off their escapade. Here the film somewhat clumsily resolves the dark situation with an arbitrary development in the form of a disastrous fire in the theatre, a deus ex machina which is dramatically unconvincing even as it resolves a situation set in motion by Douce’s strong-willed efforts to impose an impossible romantic fantasy on other people’s lives. The final scene, in which the rigidity of class conventions is exposed as antithetical to any genuine expression of emotion, is very bleak, echoing the film’s opening scene with an air of fatalistic inevitability: this begins with a beautiful pan across Paris at night – a large-scale model which includes a half-built Eiffel Tower – before sinking to street level and entering a small church, closing in on the confessional where we overhear a remarkable conversation between a priest and an as-yet unidentified, veiled young woman who declares her intention to run away with a lover. Under the priest’s probing questions she reveals that her lover is a servant and the priest ends up condemning her to hell for violating the bounds of class. After the darkness of Douce, Sylvie et le fantôme (shot just after the liberation of France) seems refreshingly light, although once again death and romance are interlinked. Here, Joyeux plays Sylvie, a daughter of the aristocracy who pours her adolescent feelings into a romanticized view of the past – specifically, into the portrait of a dashing hunter who was her grandmother’s lover and who died in a duel over that love. This figure is alive to her imagination to a degree which disturbs her father, Baron Eduard (Pierre Larquey). As Sylvie’s sixteenth birthday approaches, he sells the painting, which Sylvie sees as a traumatic betrayal. 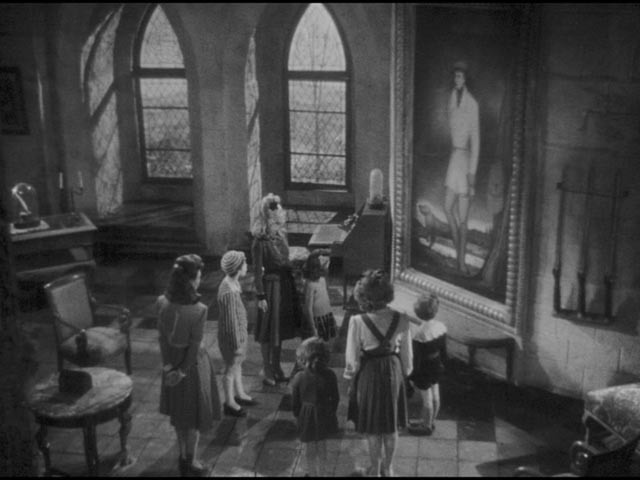 The Baron arranges to have a performer named Anicet (Louis Salou) appear as a ghost at her birthday party in an effort to wean her from her fantasy, but things get complicated when two young men show up at the same time as the actor – a young thief named Ramure (François Périer again) and Frédérick (Jean Desailly), a young aristocrat who admires Sylvie – and the Baron sets all three to appear at the party. 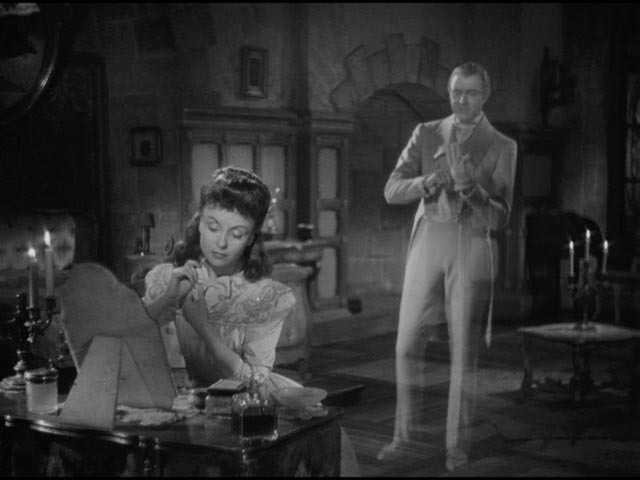 As if this doesn’t set up sufficient confusion, the actual ghost of the hunter, himself drawn to Sylvie, emerged from the painting as it was being carried away and he interferes with and complicates the work of the three fake ghosts. The pompous Anicet rails against the lack of respect being shown to his art, while Ramure and Frédérick both fall in love with Sylvie, and the police crash the party looking for the young thief. The ghost of the hunter is performed in mime by none other than Jacques Tati, adding a note of melancholy to the fast-paced antics of the other characters – as an insubstantial phantom he too longs for Sylvie, but fulfilling his desire is impossible. This ghostly presence is a marvel of simple yet beautifully rendered visual effects. Autant-Lara had the sets built in mirrored pairs, using an angled glass to reflect Tati into each scene as a transparent figure who always seems to be in perfect contact with his surroundings, interacting with the other characters. This is visually impressive and is well used for both poignant and comic effect. 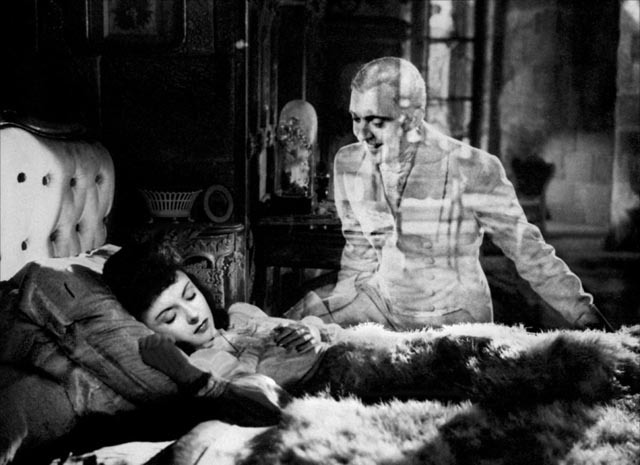 During the evening, with the fake ghosts exposed, Sylvie matures and sets aside her romantic fantasy in favour of a more corporeal one involving Frédérick, in the process releasing the hunter’s ghost – the final image has him rising and disappearing into a starry sky accompanied by his ghostly dog. 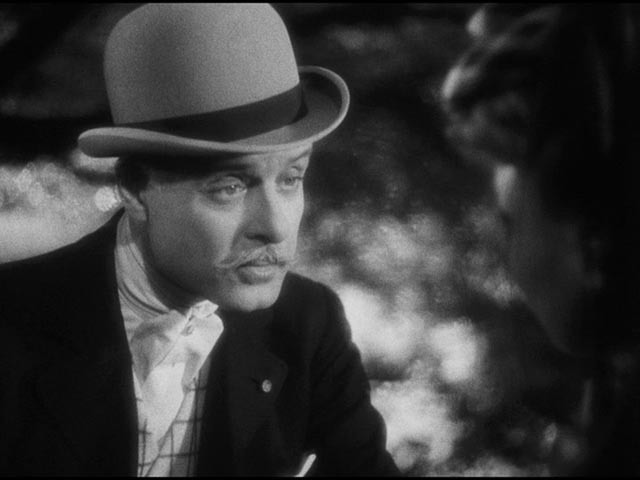 In his Biographical Dictionary of Film, David Thompson dismisses Autant-Lara for “a surface daring … [which] did not prevent a romantic and bourgeois realism from settling on him, evident in the most conventional use of structure and a style that surrenders to literary prestige, glamorous acting, and claustrophobically atmospheric settings.” But surely this is such a sweeping criticism that it could be applied to much of what emerged from Hollywood studios in the golden age of the ’30s through the ’50s. To fault Autant-Lara for a high level of craft – these films are visually dense, strikingly photographed by Philippe Agostini with an expressive and frequently moving camera which infuses the sets and the narratives with energy – seems odd. While these narratives may be contrived, they are contrived in the way that the films of Lubitsch and other masterful entertainers are contrived; there’s satisfaction to be gleaned from the intricacy of their construction, a satisfaction amplified by the performances of excellent ensemble casts and, more particularly, the charismatic presence of Odette Joyeux at the centre of each film. With this set, Criterion has once again opened a window on a corner of film history which had grown musty with received wisdom. Although print damage is apparent in all four films, the transfers are strong, with excellent contrast and a great deal of detail in the image. Sound is occasionally somewhat muffled, reflecting the age of the sources, but overall the quality of the disks is satisfying. Helpful liner notes by Nicholas Elliot provide background on Autant-Lara and historical context for each of the films. This entry was posted in Commentary, Review and tagged Actors, Blu-Ray, Criterion, Directors, Eclipse, Film History, French Film. Bookmark the permalink.